A college basketball coach who police say threw a punch that killed a New York City tourist has pleaded not guilty to an assault charge. 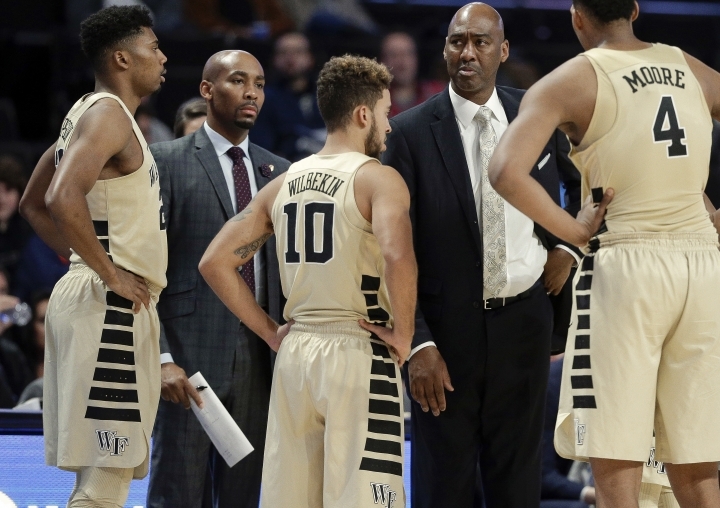 Wake Forest University assistant coach Jamill Jones was arraigned Thursday night on a misdemeanor assault charge and released on his own recognizance. Police say Jones attacked digital marketing guru Sandor Szabo around 1:15 a.m. last Sunday in Queens, causing him to fall and smash his head on the sidewalk. Police say Szabo, visiting from Boca Raton, Florida, banged on the window of Jones' SUV while looking for his ride after his stepsister's wedding. Police say the coach got out, followed Szabo to the sidewalk, clocked him and sped off. Jones, of Kernersville, North Carolina, turned himself in to police earlier Thursday. His attorney calls the encounter a "tragic accident." Police say a college basketball coach threw a punch that killed a New York City tourist who knocked on his car window thinking it was his Uber ride. Wake Forest assistant coach Jamill Jones was arrested Thursday and charged with assault. Information on his lawyer wasn't immediately available. A spokesman says Wake Forest has no immediate comment on the 35-year-old Jones' arrest. Police say Jones confronted Sandor Szabo on a Queens street around 1:15 a.m. Sunday. They say the punch caused Szabo to fall and hit his head on a sidewalk. Szabo, also 35, was taken off life support Tuesday. His family says he was visiting New York from Boca Raton, Florida, for a wedding. Jones, a Philadelphia native, previously coached at Central Florida, Virginia Commonwealth and Florida Gulf Coast.